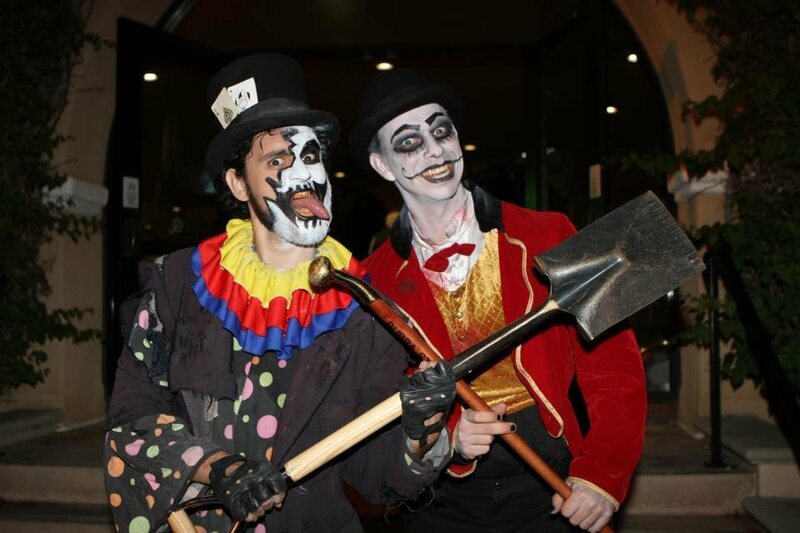 Your favorites are back: the horrifying House of Horror, the dizzying KarnEvil, and the Haunted Hayride, each casting its evil spell on the Del Mar Fairgrounds. New this year is Zombie Boot Camp! Learn how to survive the Zombie Apocalypse with this rough and tumble basic training course. 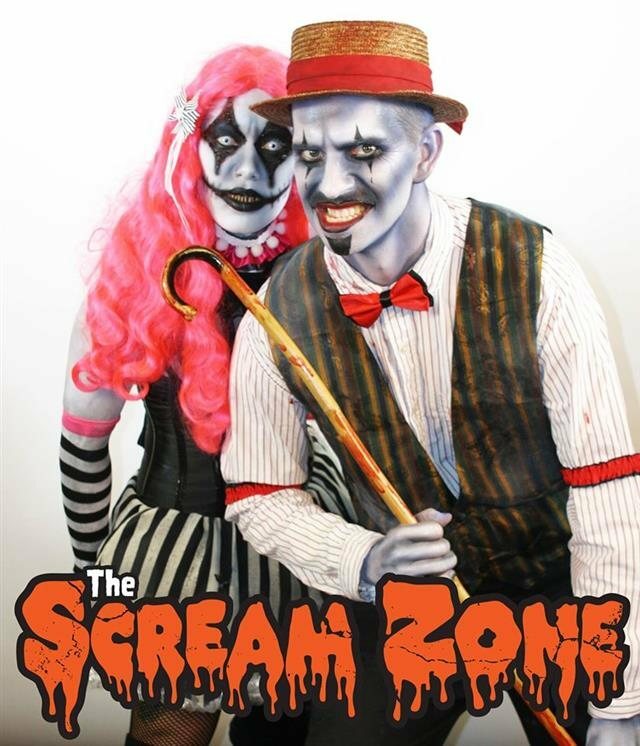 The Scream Zone is assembled from a collection of body parts and roughly stitched together into four terrifying haunts and other monstrous attractions. The House of Horror features room after room of frightening and surprising visual and visceral experiences. Imagine being trapped and moved by a bevy of clowns or shaken, rattled and upended so that you don’t know where or who you are within utter darkness! The Haunted Hayride piles visitors into a wagon with an unknown destination. 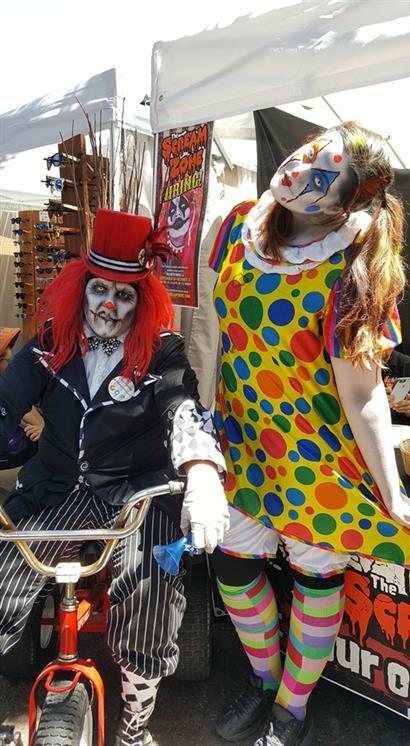 Ride through the darkness terrified and filled with hallucinations, including Wicked Alice in Horrendous-land and a trip through the Rabbit Hole as part of the hair-raising ride through a Never, Never Land of creepy and petrifying clowns, zombies and other wicked characters. KarnEvil is everything carnival and freak show, including the weird and surreal trailer park of clowns and a death spiral that leaves visitors disoriented and terrified. The first of its kind and only one in the country, The Running Dead is a 30,000 square foot unique obstacle course challenge that puts the participants agility, coordination, reflexes, and speed to the test. Participants literally run for their lives from brain-eating, blood-sucking Zombies while competing against the clock and their friends as they climb, crawl, scramble, and run around, over, up, and under a wide variety of ghoulish obstacles and creepy passages.